The latest Homeless Cats 10/09/17 are a selection of males and females. Mums Black/Black & white Female 2-3 years These are from the group of 26 rescued from a house, very friendly. About 3 of them still need homes. Tilly is an adorable, friendly and loving little cat. She has been diagnosed with Feline Immunodeficiency Virus (FIV) which means that ideally she should be an only cat so as not to pass it on. 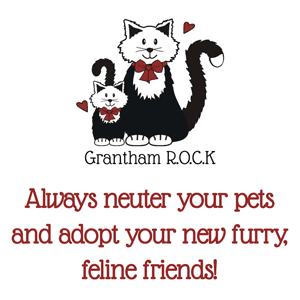 The risk of passing FIV on is greatest in un-neutered, feral tom cats because they fight. A docile pet cat should be fine. She is going to be re-tested soon just to confirm or not. Ideally Tilly needs a special home with someone who will assess the risk to herself and any other cats, possibly keeping her away from other cats as much as possible. Her new owner must also be alert to any early signs of illness. Tilly will need to see her vet straight away if there are any concerns. This is the same for any cat though. Sadly cats like Tilly get overlooked in rescue shelters because there are myths and confusion about cats with FIV. The website catchat.org has a great page all about FIV that should help dispel peoples’ concerns. She deserves a chance of a loving home and to make someone happy with her love.